Item # 296648 Stash Points: 5,495 (?) This is the number of points you get in The Zumiez Stash for purchasing this item. Stash points are redeemable for exclusive rewards only available to Zumiez Stash members. To redeem your points check out the rewards catalog on thestash.zumiez.com. Layer up in the clean cut adidas Clima 3.0 Navy and White Hoodie and offer your look a touch of athletic European class. 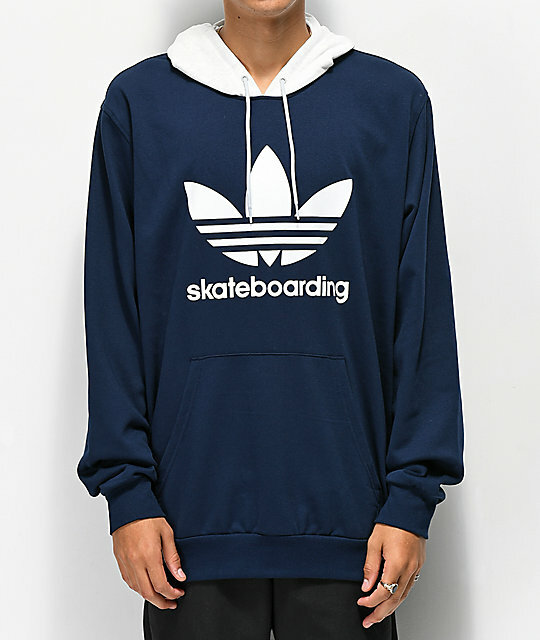 This French terry lined pullover garment is featured with the brand's signature Trefoil logo and adidas script on the chest in a white colorway. 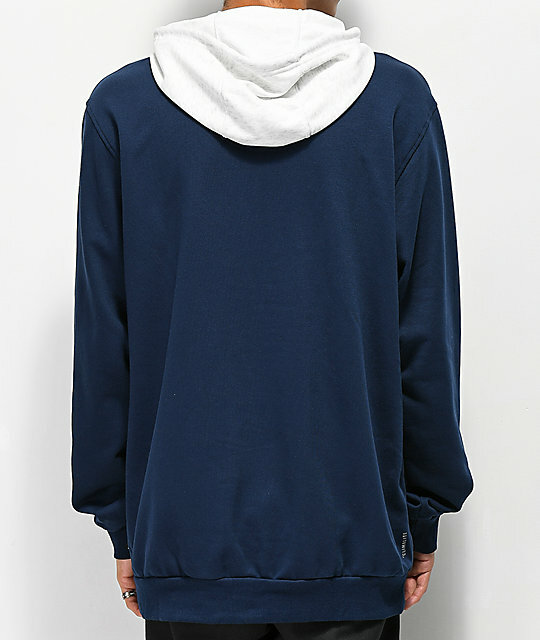 Clima 3.0 Navy & White Hoodie from adidas. 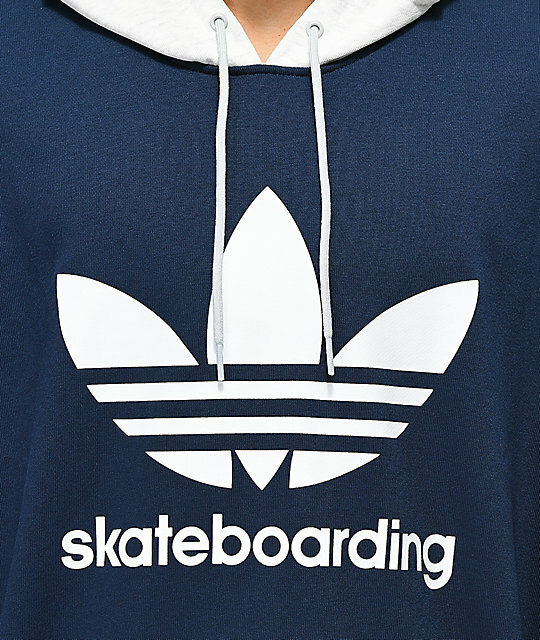 Screen printed dark green adidas Trefoil logo and "skateboarding" text at chest. Adjustable drawstring hood with French terry lining.